Thank you Tatu Digital Media for sponsoring this post! All opinions are my own. Can you believe how fast we are approaching holiday season? I feel like each year time just flies by even more the minute we start back to school shopping we are already thinking about the holidays. Gift cards are probably the most convenient when it comes to gifting. They are not only perfect for the holidays, but also for baby showers, graduations, birthday parties and more. 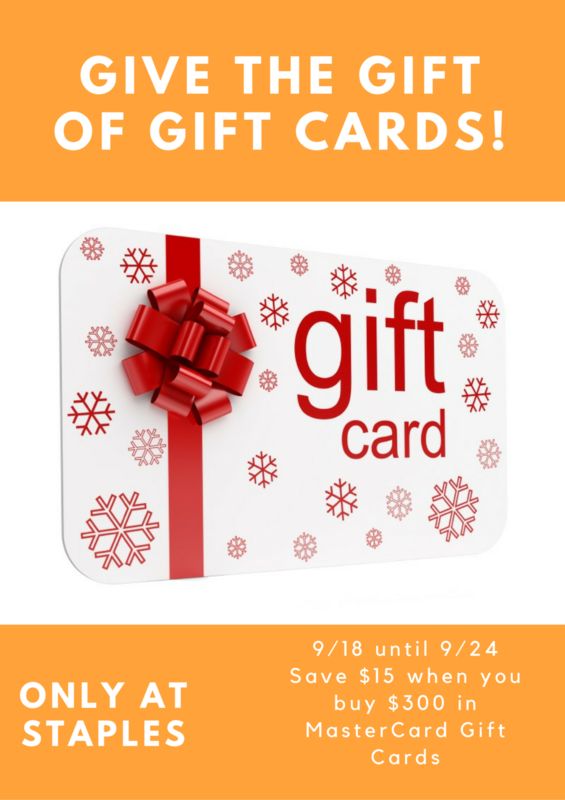 I can’t tell you how many gift cards I received last year so you know you’re bound to buy some to have on hand. If you’re someone who usually wait until the last minute to purchase holiday gifts, now is the time to make that change with this awesome deal from Staples! Save $15 via EZ rebate: Save $15 via EZ Rebate when you $300 or more in Master Card gift cards from Staples. The Capital One® QuicksilverOne® Cash Rewards Credit Card offers 1/5% cash back! Be sure to check out this awesome deal from Staples and hurry because this offer is only available until the 24th! To celebrate this deal, we are giving away a $100 gift card to one lucky reader! Simply enter using the giveaway widget below. Good luck! Storm Reid Cast as Meg Murry in Disney's A Wrinkle in Time!